The Beano took it’s legendary pranks to Lambeth yesterday – calling on a dancing gorilla, marching band, skateboarders and somersaulting ninjas to subvert World Book Day in favour of World Menace Day. Beano author Steven Butler wrote The Diary of Dennis the Menace: World Menace Day especially for World Book Day. 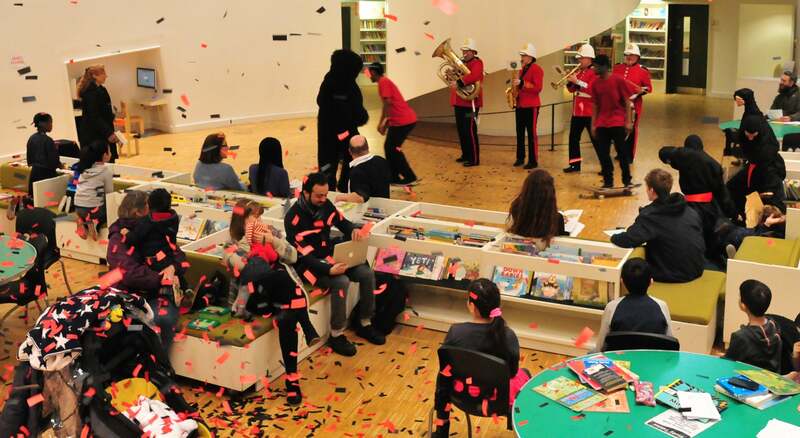 In the street and in Clapham Library, residents found themselves amid bizarre characters and confetti, every time someone opened a copy of the book – even though they were expressly told not to touch it.